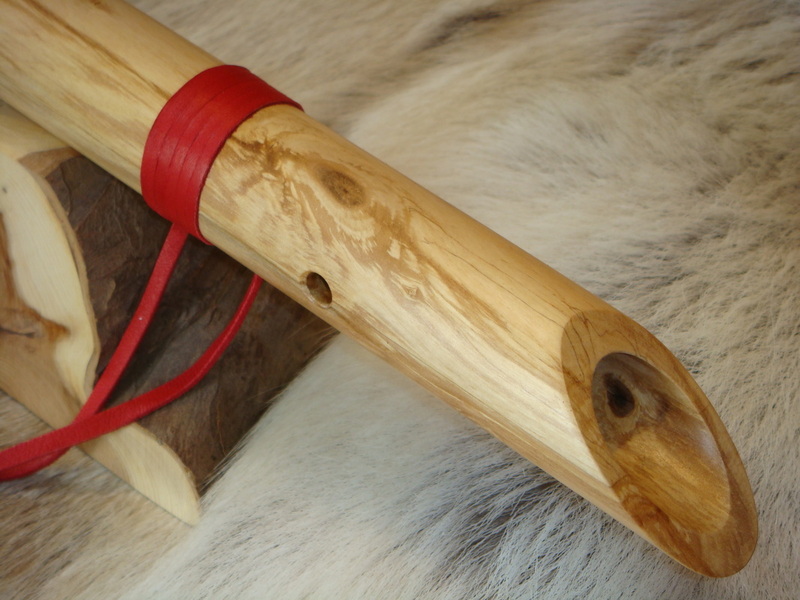 SILVER BIRCH IN THE KEY OF "G"
SILVER BIRCH IN THE KEY OF "G" Below are 8 photos and at the bottom a video link of it being played. 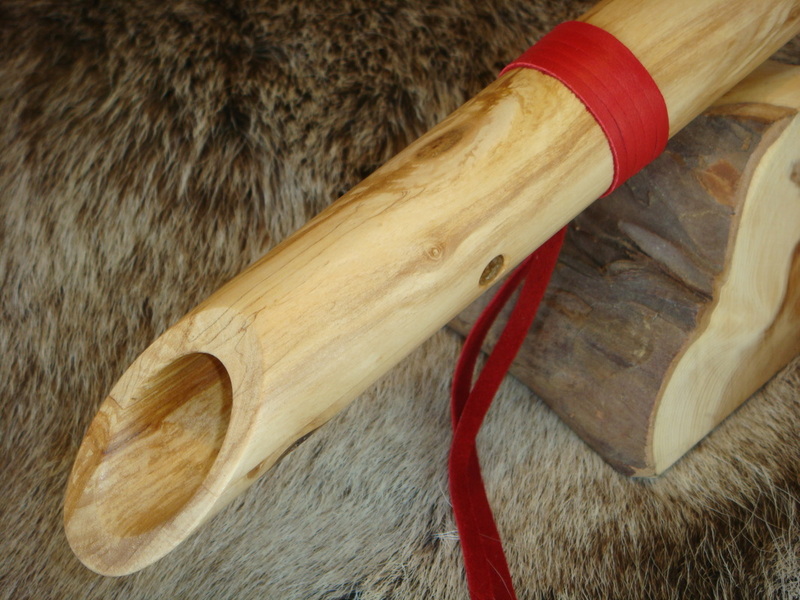 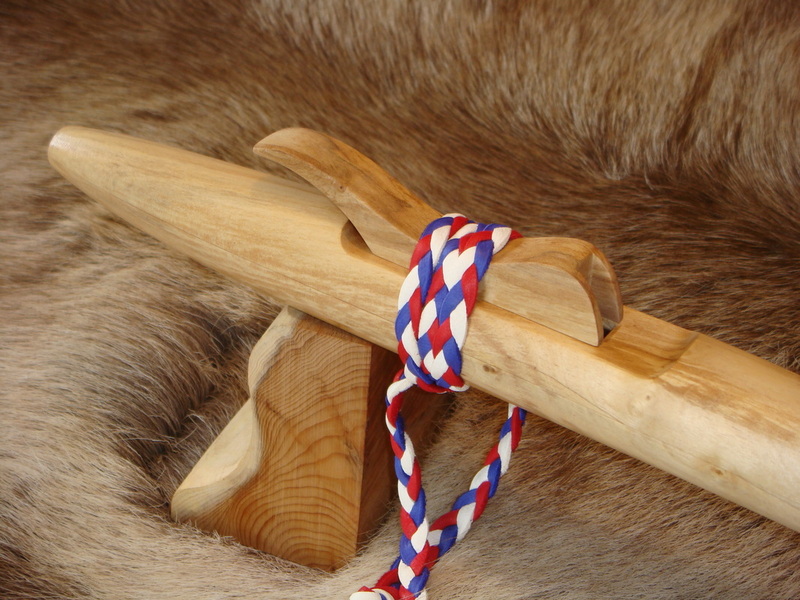 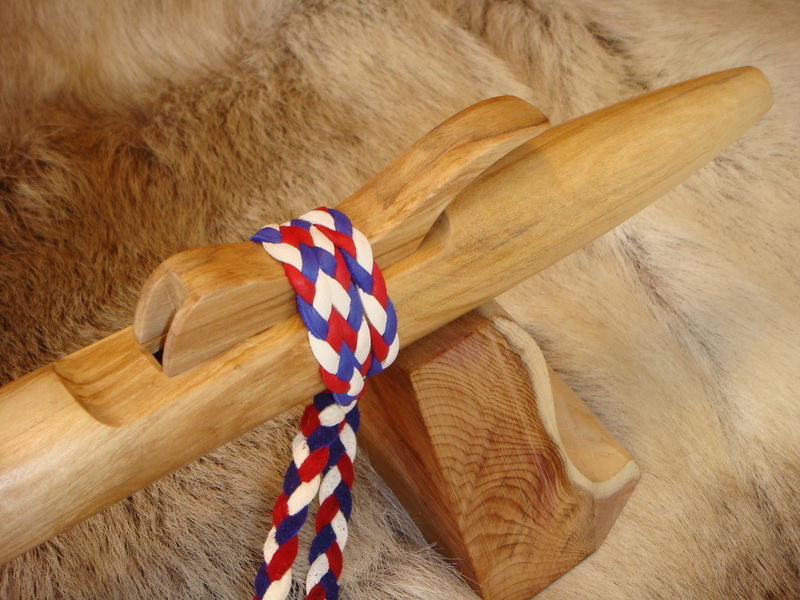 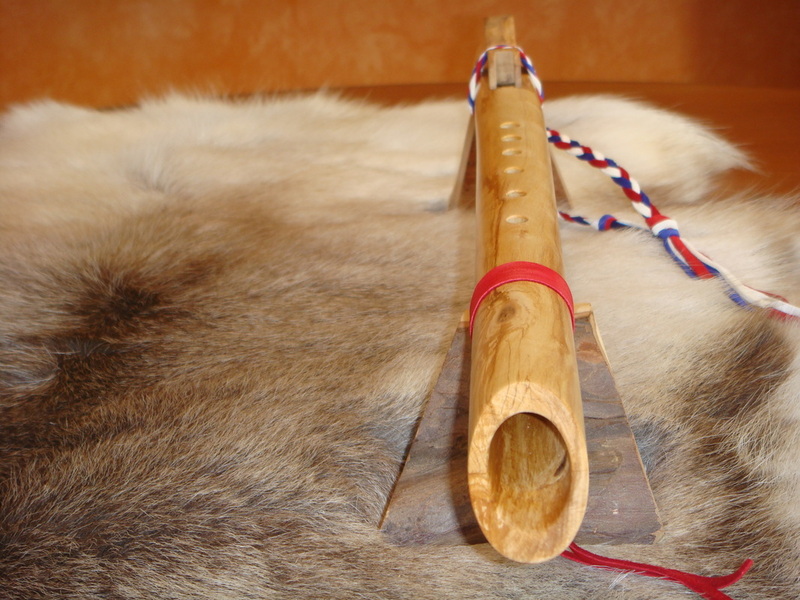 Info:- Native American Style Flute made from Silver Birch. 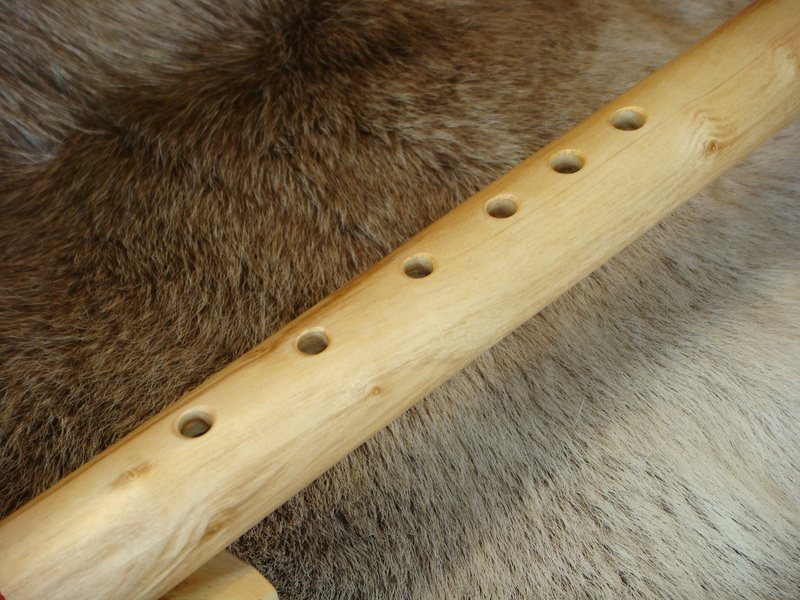 Another beautiful flute from Woodpecker Flutes, made by hand from a branch of silver birch and in the key of "G", it is 64cm long, the bore is 7/8" and it is a 6 hole flute, the distance between playing holes is as follows (hole 1 being furthest from the mouthpiece). 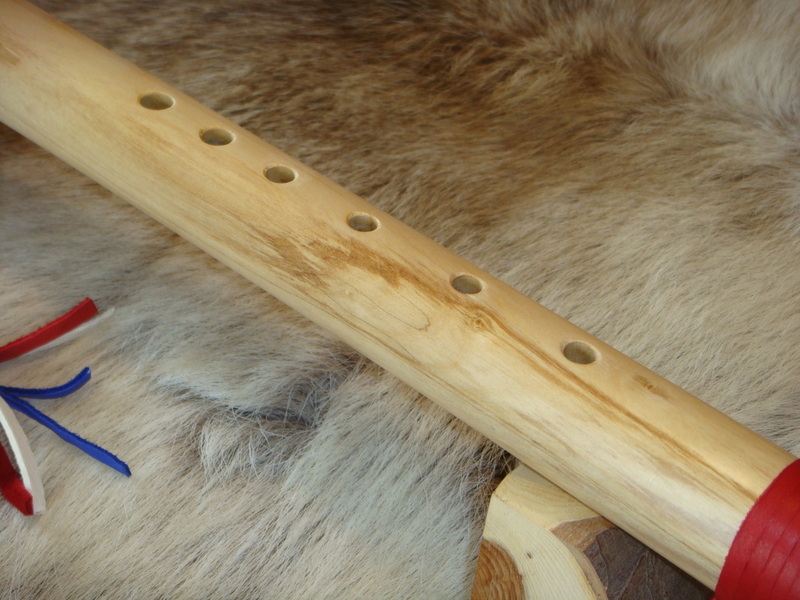 The playing holes are inline, it has a sloped end, 2 tuning holes and it has been decorated with white, red and purple deer lace. 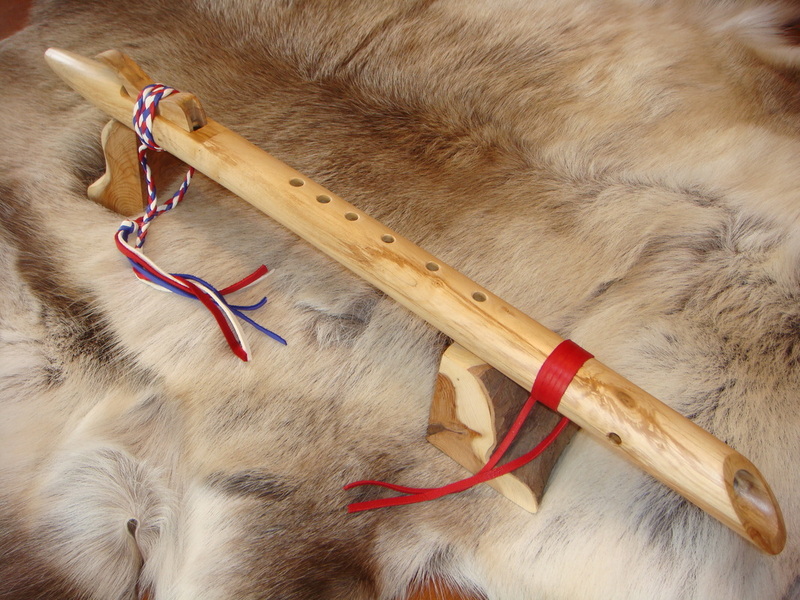 The picture below shows that the branch this flute was made from had a slight curve in it.